The rule of thumb advice to “just do 10 per cent of the US” has been used countless times as an estimate of the Canadian market. In many cases this simple rule actually works quite well; as an example, the Canadian Cancer Society projects that 187,600 Canadians will be diagnosed with cancer in 2013, which is about 11 per cent of the number of US new cases for the same year. However, new data from Kantar Health's CancerMPact Patient Metrics - Expanded Markets database suggests that when we look at individual tumours, the '10 per cent rule' often misses the mark. The cancer incidence rate for Canadians has been rising slowly yet steadily. According to a recent study the age-standardised incidence rate (ASIR) increased at an average of 0.9 per cent per year in males and 0.8 per cent per year in females between 1970 and 2007. While the incidence rate is expected to be fairly stable in the foreseeable future, the Canadian population is growing and ageing. 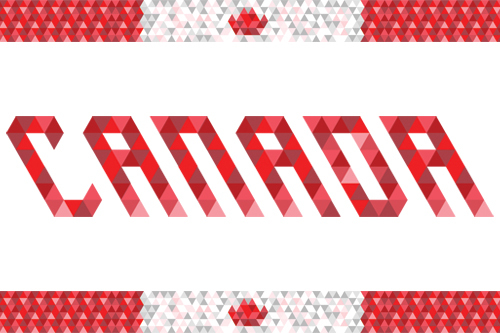 Statistics Canada projects that the Canadian population will grow from 34.9 million in 2012 to 47.7 million by 2036. During the same time period, the number of senior citizens (65 years or older) is expected to more than double to 10.9 million, comprising nearly one-quarter of the population in 2036. The increasing and ageing population will be the primary driver of continued growth for the Canadian cancer patient population. To better measure the new patient population eligible for treatment, Kantar Health has developed the concept of 'treatable patients', which includes newly-diagnosed patients (reflected in the incidence rate calculation) as well as patients who have a recurrence or progression in the current year (which are not included in the generally accepted incidence rate calculation). In this article the market size will be described and compared on the basis of number of treatable patients. While there are more than 200 different types of cancer, four tumours –the same four for both the US and Canada – represent slightly over half of all new cancer cases in 2013. Of the 187,600 new cases diagnosed in Canada, 51.7 per cent will be breast, colorectal, lung and prostate cancers. In the United States, the number is surprisingly close – 50.7 per cent – of a total number of 1,660,290 new cases. However, the similarity stops there. In Canada each of the four tumours will produce roughly equal numbers of new cases in 2013, with lung cancer slightly higher than the other three; on the other side of the border, three tumours have comparable incidence rates, while colorectal cancer is a distant number four. Closer examinations reveal some interesting facts - both uncanny similarities and sharp contrasts between the two countries. Prostate cancer is the most prevalent tumour in the United States in terms of new cases diagnosed in 2013, while it is only fourth in Canada. However, from the perspective of 'treatable patients' prostate cancer actually has held the top position in Canada since 2002 - narrowly edging out lung cancer that year - and is expected to have the most treatable patients in the foreseeable future. The prostate ASIR curve has had a bumpy road – there was a prominent peak in the early 1990s and then a milder one appeared in the early 2000s. Apparently both peaks were related to prostate specific antigen (PSA) screening. The first peak was clearly the result of the introduction of PSA tests in the late 1980s; the cause of the second, smaller peak was not as definite, but researchers have attributed it to the publicity surrounding then-federal health minister Alan Rock's diagnosis of prostate cancer after PSA tests. Prostate cancer ASIR has been falling in both countries, but due to the growing and ageing population the size of the treatable patient pool in Canada has been quickly rising both in absolute numbers and relative to the United States. The number of treatable patients in Canada was only 7.8 per cent of that of the US patient pool in 2000; however, it took Canada only nine years for the patient pool to grow to 10 per cent of the US, and the upward trend continues. The total number of treatable patients in 2036 will be just shy of 60,000, or a 60 per cent jump from the 2013 number. Among the top four tumours, breast cancer is perhaps the 'quietest' one. In both Canada and the United States, breast cancer incidence rates have been essentially unchanged over the past 10 years after a decline around 2002, which has been hypothesised as being related to the reduction in hormone replacement therapy (HRT) following reports on health risks associated with HRT. Another factor affecting the breast cancer incidence rate trend is mammography screening. In Canada, provincial organised screening started in 1988, and all provinces established such programmes over the next decade, which may also have contributed to the stabilisation of the breast cancer incidence rate in the past 10 years. Breast cancer also turns out to be the tumour in which the 10 per cent rule is actually accurate: the Canadian treatable patient pool has been about 10 per cent that of the United States for the past 10 years, and it is likely to stay that way. That said, the stable trend can certainly be disturbed by many factors, even seemingly isolated incidents. For example, if the 'Alan Rock effect' in prostate cancer was real, an 'Angelina Jolie effect' on breast cancer incidence trends is not unimaginable given the publicity around the movie star's recent mastectomy. Colorectal cancer is where the two countries demonstrate the most substantial differences. There was a spike in ASIR in the late 1990s, which was believed by some researchers to be the result of folic acid fortification of certain foods in both countries (as a public health measure to prevent neural tube defects). The ASIR has been generally declining since 2001; however, while the US incidence rates have been falling on average 2.9 per cent each year over the last 10 years, the annual rate of decline in Canada is less than 1 per cent. The diverging trends create a significant deviation from the '10 per cent rule'. Ten years ago the number of treatable patients in Canada was roughly one-eighth that of the United States, the ratio has soared to a startling one-sixth today while the Canadian population is approximately one-ninth the size of the US population. If the current trend continues, by 2036 the number of treatable patients in Canada will be two-thirds higher than the 2013 number. Lung cancer is a tumour where men and women are affected unequally and incidence rate trends have also shown very different patterns in men and women. In both countries the male incidence rate has declined significantly since the late 1980s; however, in females no equivalent reduction has been observed. In fact, the Canadian female ASIR increased from 33.2 in 1987 to 48.0 in 2006. As a result, the gap between male and female incidence rates narrows sharply from about 3-to-1 in 1987 to about 1.3-to-1 in 2013. The decline in male lung cancer incidence can be mostly attributed to the reduction of tobacco consumption. Since there is a delay of approximately 25 years in the effects of smoking tobacco on lung cancer incidence, the declining trend in incidence started in late 1980s while tobacco consumption peaked in 1965. Female smoking started declining about 20 years later than the drop in male smoking, which may suggest that the female ASIR could start falling in the 2010s. The overall lung cancer incidence rate is likely to decline further, given that CTUMS (Canadian Tobacco Use Monitoring Survey) reported a decline in the overall current smoking rate among Canadians aged 15 years and older from 25 per cent in 1999 to 16 per cent in 2012. An interesting contrast between the two countries is that there is no difference in the prevalence of current smokers between males and females in Canada, while in the United States cigarette smoking is more common among men (21.6 per cent) than women (16.5 per cent) - this difference could widen the disparities in ASIR trends between the two countries. Dwarfed by its gigantic neighbour to the south, the Canadian market is often treated lightly as a mere 10 per cent of the US market. This rule of thumb might work fine in some cases, for example, the total number of new cancer patients; however, a closer look at individual cancers paints a different picture. The relative market sizes vary substantially from cancer to cancer, and the incidence trends for some tumours in the two countries are quite different. It is time that the Canadian market received its fair share of attention.